Chairman, Senate Committee on Media and Public Affairs, Senator Aliyu Sabi Abdullahi, on Wednesday assured Senator Ahmad Lawan Presidency will be all-inclusive irrespective of political and party leanings. Abdullahi, who is also the spokesperson Ahmad Lawan for Senate Presidency, assured that Lawan would garner the votes of more than 73 senators on the day of inauguration. 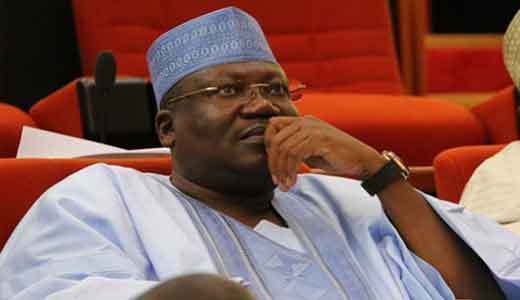 He told reporters in Abuja that the aspiration of Lawan is to have a Senate that will work for Nigeria and Nigerians. He said that Lawan has been working assiduously to talk to senators-elect across party lines on why he should be elected. He said the notion by the Peoples Democratic Party (PDP) senators that they would be excluded should be withdrawn forthwith. What they were planning to do, he said, is to have a Senate that will be for all senators. Abdullahi said: “Senator Ahmad Lawan is leaving no stone unturned in talking to his colleagues across party lines. Let me say very clearly that the nature of parliament is such that you cannot shut anybody out. It is not possible. “I want to submit and assure Nigerians that by the special grace of God if Senator Ahmad Lawan gets there, he will run an all-inclusive government because the Senate is the Senate of the Federal Republic of Nigeria. “The 109 senators are individual senators representing the various senatorial districts in the Federal Republic of Nigeria. They have inalienable rights to be heard and listened to for the government to work for them no matter our differences and no matter the sentiments that we share. “When we took our oath of office, we pledged not to allow personal interest to override the public interest. “Let me say very clearly that our aspiration is to have the Senate that works for Nigeria. “I know that given the track records of Senator Lawan in his 16 years of being in the National Assembly, he understands the feelings of the opposition because he was one of them before and he will not abuse that privilege. “The notion from the PDP side that they would be excluded should be withdrawn forthwith. What we are planning to do is to have a Senate that will be for all senators. “I can confirm to you that on the day of inauguration, Senator Ahmad Lawan will garner more than two third of the votes. “Not less than 73 from both the APC and the PDP. It is a matter of engagement. We don’t need to flaunt those who are with us. We have to respect our colleagues. “We are engaging them one-on-one. We want to work together with the executive because we have just one Federal Government in Nigeria and we must move the country forward. “We are talking to our colleagues, working on our colleagues who will vote on the floor of the Senate on the day of inauguration. “By the grace of God, so far so good, we are very much convinced, based on the reception that is being accorded during our campaigns.